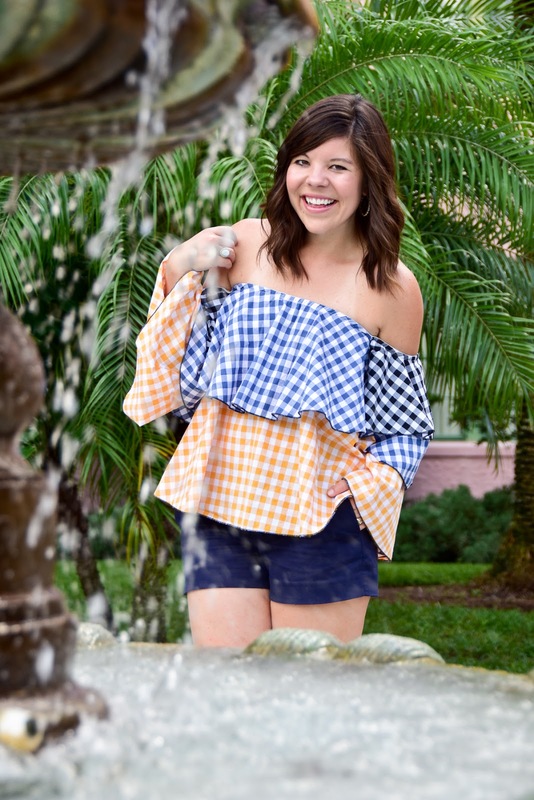 Make Me Chic: Multi Gingham OTS Top + $1,000 Giveaway Reminder! Do you ever have those pieces that just kind of sucker- punch you because they are that adorable?! 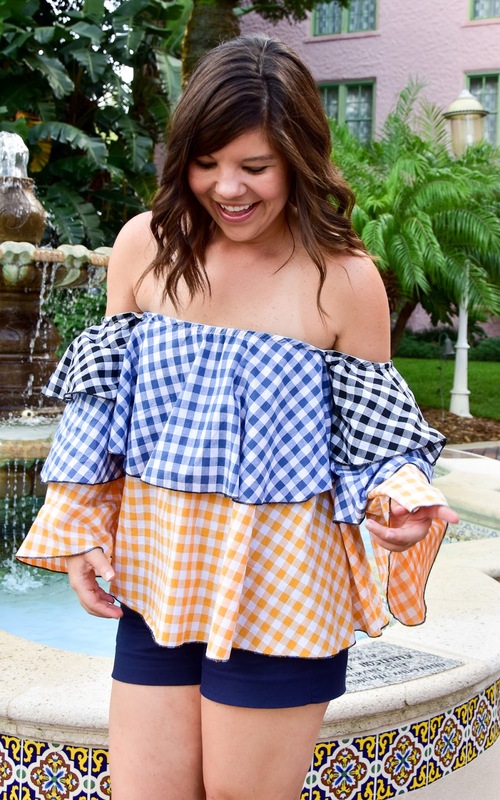 That’s the feeling I got when I spotted this super-playful, multi-gingham off the shoulder top… That breathless excitement that can only come when you spot the perfect piece! 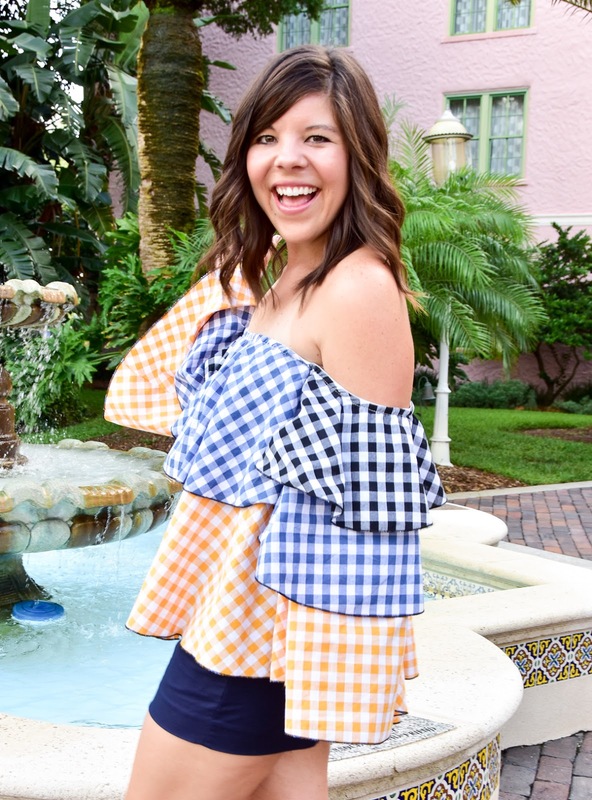 I focus a lot on buying “practical” pieces for my closet, things I can wear for work and play/things that are timeless and ageless, but every once in awhile you need those crazy-fun and totally impractical finds that make you smile- and friends this top is just that! 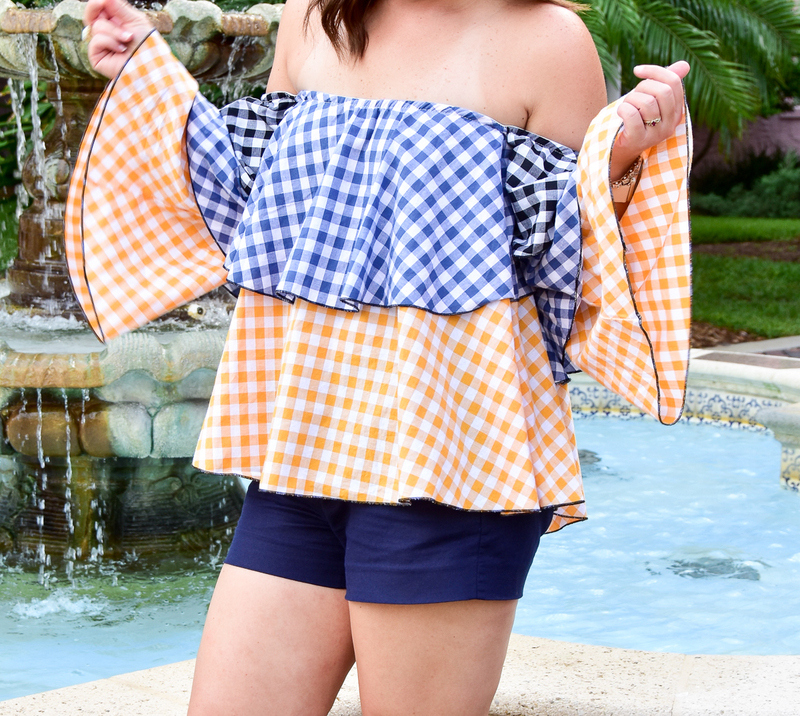 Since it is insanely hot out here in Fl still (low 90s with over 90% humidity) I paired this top with shorts and wedges for a casual girls night out, but come fall I plan on keeping this piece in rotation by adding skinny jeans and some sassy booties! Tell me… What have been your favorite “sucker-punch” pieces lately? 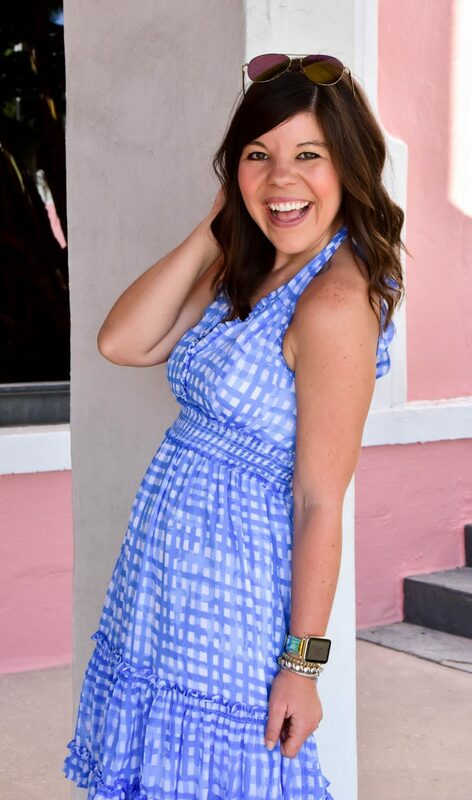 Do you love having those pieces that make you smile in your closet? Have a great start to your week! After an amazing trip to market I’m so reinvigorated to tackle this week 🙂 Cheers to productivity! This top is adorable! I love all the colors and the double layers! wow! now this is a summertime top!! Your description is dead on! So adorable and playful. What a pretty top! 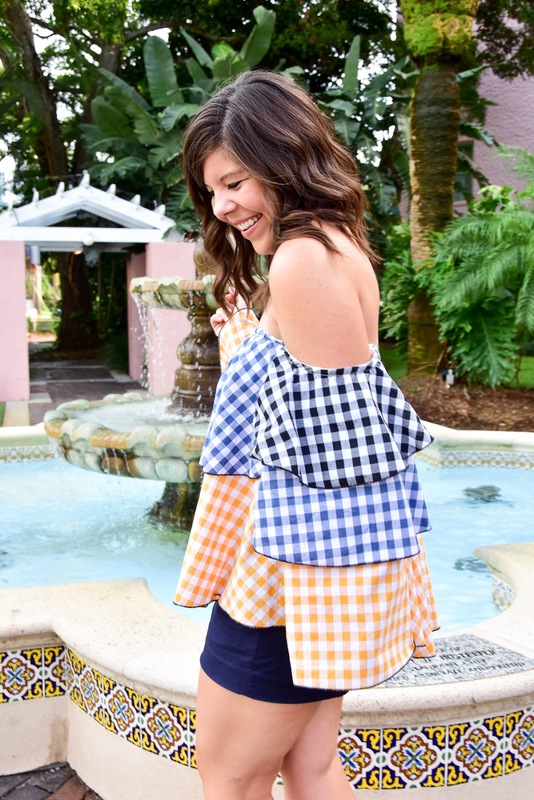 I love the colorful gingham and the tiered ruffles! Such an adorable top on you! I love the different layers of color! Really love this top! So unique! Love the details!